Our seafood seasoning blend of herbs and spices. Was create for seafood, but realize it taste awesome on veggies and chicken. Remember mixtures like this cost very little to make yourself but can be very expensive if you buy them at retail. Combine all ingredients in a small mixing bowl. Pour mixture into airtight glass or plastic container. Will keep up to 5 months. thanks I always wanted a recipe for this! Great idea to have a batch on hand when you need it. Sounds wonderful! 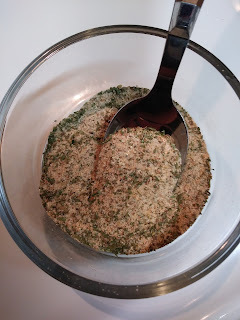 I'm always looking for more homemade seasoning recipes! !